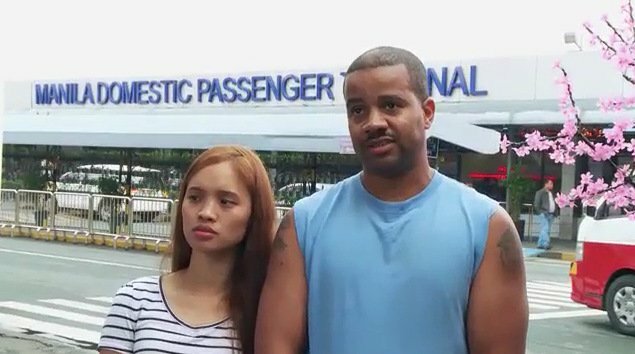 Who Will Get Engaged On Tonight's 90 Day Fiance: Before The 90 Days? Meanwhile, Ricky’s got a mess of his own to clean up with Ximena in Colombia. Is he actually going to propose with that sloppy seconds ring he brought for Plan-A-Melissa? Not before Ximena hazes him a bit. Previews show her ordering Ricky (who can’t swim) to basically take a long walk off a short pier in order to prove his love. So, are we popping the popcorn to watch Ricky “almost” drown tonight? I’m in. Angela is also forcing Michael to win her back after he admitted doing the BJ for real. With only two days in her trip to Nigeria left, she’s going to need more than a grocery store cake to restore Michael’s green card dreams. Our newest couple, Marta and Daya, continue to be a blip on the radar (yawn) while our already-engaged couple, Rachel and Jon, reunite in England to plan their wedding and bemoan “how unfair!” the world is. But, wait – previews reveal Rachel finding out some brand new dirt on dear Jon, and it looks like this time, she’s legitimately pissed off about it. Oooooooooh…is it fist fight #61? Another married girlfriend waiting in the wings? Whatever it is, Jon will have certainly some ‘splaining to do. Brand New Seasons Of 90 Day Fiance & Love After Lockup Announced! Speaking of ‘splaining, Jesse is on his way to attempt break up #412 with Darcey. However, Darcey has no idea what’s coming, and she’s even purchased new teeth/hair/furs/heels/temporary dignity for the occasion. Ugh. This is not going to be pretty, you guys. There will be blood. On a serious note, tonight’s episode will feature a startling event between Paul and Karine involving a serious health issue. Although it’s unclear exactly what’s to come, previews suggest it’s highly dramatic and life changing for everyone involved. Tune in to TLC at 8 EST/7 CST tonight for an all new 2-hour episode of Before The 90 Days, followed by and all new 90 Day Live show hosted by Michelle Collins at 10 EST/9 CST. Join us in the comments section for a live viewing party! TELL US: WHAT ARE YOUR PREDICTIONS FOR THE COUPLES?